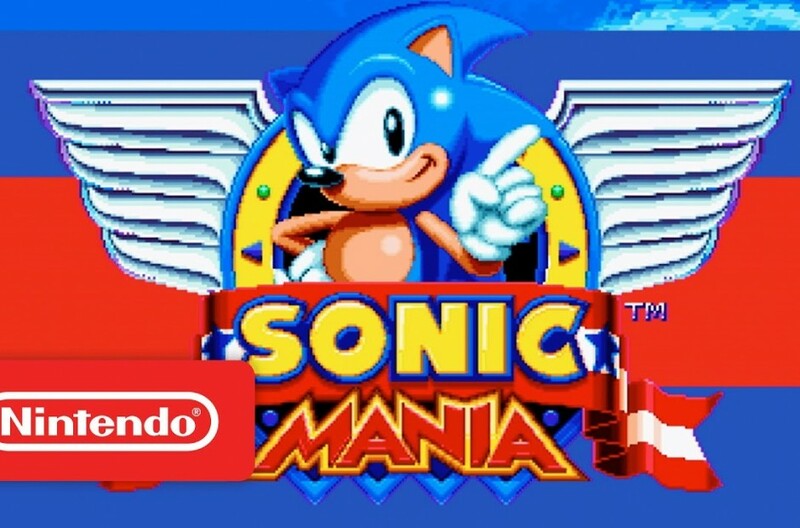 The Nintendo Switch EShop has two new games added to its console’s library – Sega’s 2D Sonic revival, Sonic Mania, and the action-adventure, Troll and I.
Sonic Mania has been considered to be a ground-breaking game, and one of the ultimate tributes to the 90’s Sega classic. Its motion graphics, music and everything together gives an enriching experience to gamers, while being true to the original. Gamers have welcomed the new game with universal praise, according to a GameSpot review. Sonic Mania is a mind-blowing ultimate tribute to 90s Sega. The first impression is amazing, and its presentation replicates the charming aesthetics of its earliest games. The digital format of Sonic and friends is similar to their Sega Genesis counterparts, but they take on new life with improved animation and quality. The new effects add an extra layer of personality to the iconic character, and it’s exciting to watch them in motion. Revivals are often a hit-and-miss thing, but Sonic Mania does it with panache: a game that doesn’t just look like it homages the 90s, but like it was made in 1994. The game, like its decades-ago predecessors, is highly addictive, and the combination of visuals and audio makes for a rich experience. The more you play, the more you’re rewarded. The second new release – Troll and I – is an action-adventure. The game is about a teenage boy, Otto, who befriends a troll and they try to make their way back home after being forced to flee from a band of brutal hunters. The game is priced at $30, and offers engaging gameplay with co-op split-screen multiplayer mode, weapon-crafting and real-time character-switching between Otto and the troll.